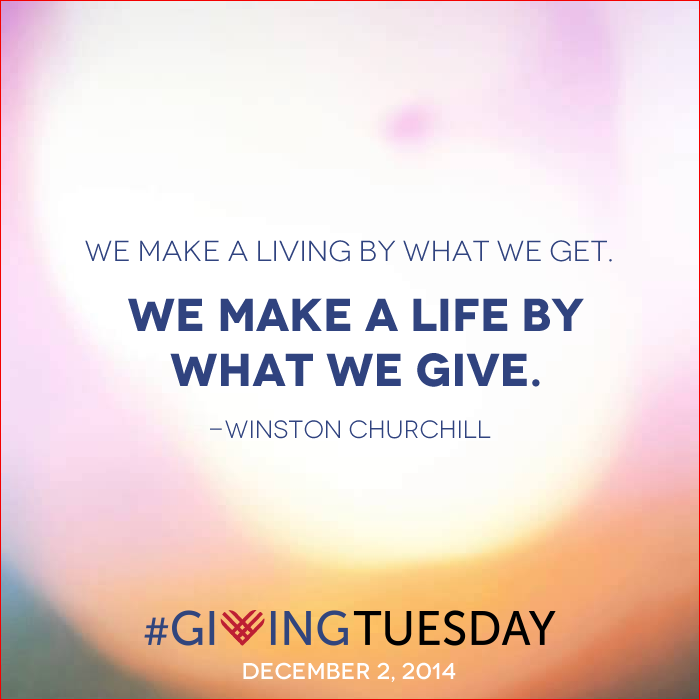 #GivingTuesday, a global day dedicated to giving back. On Tuesday, December 2, 2014, charities, families, businesses, community centers, and students around the world will come together for one common purpose: to celebrate generosity and to give. So what will you give?